Former AU/AMA president Hajar Zaki ’15 is a campaign manager for a leading global business-to-business marketing agency in Chicago. Through AU/AMA, Zaki was able to prepare for a career that involves identifying clients’ different needs and solving their individual marketing challenges. With a membership roster of nearly 100 students, the Aurora University chapter of the American Marketing Association isn’t the biggest one in the country — but it is the best. In fact, the group was named International Collegiate Chapter of the Year at the AMA’s 2017 International Collegiate Conference last spring in New Orleans. Many reasons led up to the honor, which is bestowed upon a chapter for its work during the academic year. Under the theme of “Make a Name for Yourself,” AU/AMA members demonstrated success last year in the areas of professional development, community and social impact, communications, membership, fundraising and chapter operations. integrated marketing communications plan for a family-owned business in nearby Sycamore, Illinois. But the work did not stop there. Because service learning is such an important part of the overall AU experience, AU/AMA members weaved volunteerism into their community outreach efforts. More than 1,800 hours were donated to community initiatives, including fundraisers, coat and food drives, research projects and a marketing competition benefiting local nonprofit organizations. The work of the AU/AMA chapter was recognized among 200 competing colleges and universities from throughout the United States and Canada, including Penn State, Temple University and longtime AMA collegiate powerhouse, the University of Wisconsin-Whitewater. 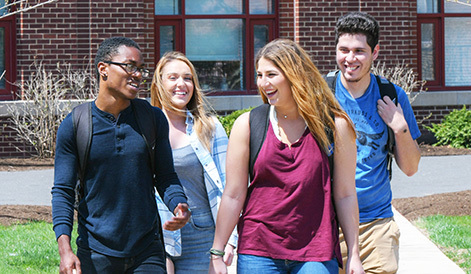 AMA, the world’s largest and most prestigious professional marketing organization, has 370 collegiate chapters and more than 11,000 student members. skills, consisted of a series of breakout sessions, professional panels and competitions. wrote an essay describing her professional development through AMA and explaining how she is prepared to make contributions as a leader to the marketing profession and society. AU/AMA teams also received recognition in the national website competition, overall chapter communications and for a public service video about pet adoption for Kane County Animal Control. As the trophy case outside chapter faculty advisor Brian Vander Schee’s office in Dunham Hall attests, AU/AMA regularly competes in — and wins — collegiate marketing and sales competitions across the country. Yet, being a part of AU/AMA competitions isn’t just about winning. concepts learned in the classroom but ones that build their confidence, professional networks and résumés. apply the research and analytical skills she developed as a student to clients’ branding efforts. 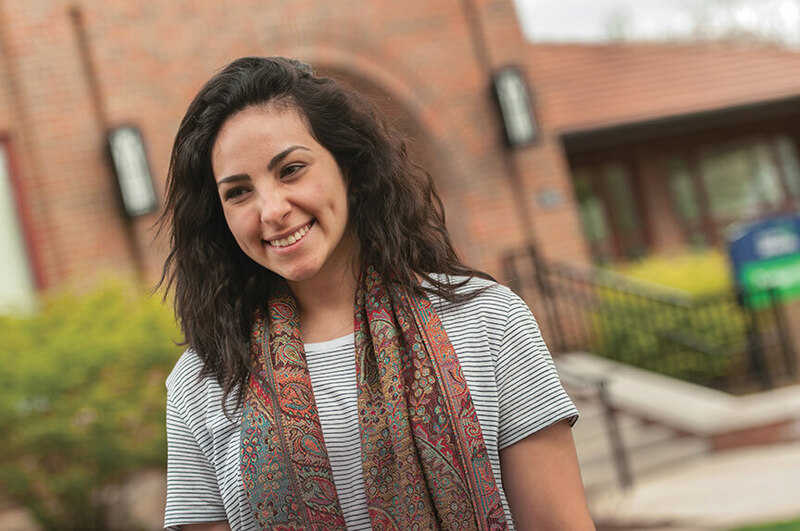 Marketing major and former AU/AMA president Hajar Zaki ’15 is a campaign manager at the same company, where she helps direct clients’ media and digital strategies. Both credit their involvement in AU/AMA for helping to hone some of the practical marketing skills they now use every day as well as for helping to build their self-confidence and personal brand. These alumni, and so many others involved with AU/AMA past and present, truly are embodying the theme of the chapter: They are making a name for themselves.